There was some serious competition in 2002, but it’s an easy choice for me. 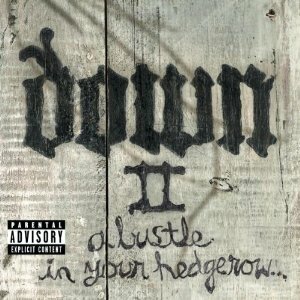 The Southern sludge of Down’s second release remains an all-time favorite record of mine. After beginning as a side project between Pantera’s Phil Anselmo, Corrosion of Conformity’s Pepper Keenan, Crowbar’s Kirk Windstein and Eyehategod’s Jimmy Bower – all from New Orleans – the band released its first record, NOLA, in 1995 and disappeared for seven years as the members returned to their respective bands. The record wasn’t unanimously embraced by fans, probably because it was a little more melodic and much more varied than NOLA, but as a native Louisianan, the influences that run through the album still appeal to me. 2. Shadows Fall, The Art of Balance. This was a record with so much promise. 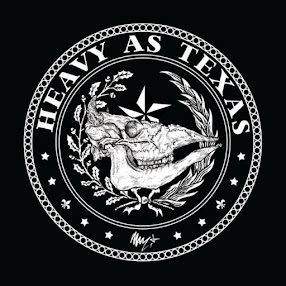 I loved and still love The Art of Balance, and I thought Shadows Fall would be the next big thing in metal, taking the throne vacated by Pantera. As it turns out, the band was very inconsistent, and its output over the years has been up and down. Regardless, this is still a fantastic record. 3. Lacuna Coil, Comalies. Though it’s their third album, this was most of the world’s introduction to Lacuna Coil as singles “Swamped” and “Heaven’s a Lie” made an impact, selling about 300,000 copies of the record in the U.S., a huge number for an Italian goth metal band on a small label. The more commercial influences that have been apparent on the band’s more recent records were just beginning to creep in on Comalies, but for me, this was Lacuna Coil’s finest moment. 4. Black Label Society, 1919 Eternal. Zakk Wylde and Co. were coming off a tough record to top in Stronger than Death, and they didn’t quite succeed. 1919 Eternal is still an awesome record, filled with some crushing songs like “Life, Birth, Blood, Doom,” “Demise of Sanity” and “Battering Ram.” The thin sound of the record hurt it a little, not allowing the songs to reach their full heaviness. 5. In Flames, Reroute to Remain. This much mellower and more melodic record is not well-loved among In Flames fans, many of whom see it as the beginning of the end of the band, but it’s one of my favorites. I can’t really say why, but the songs here really appeal to me. I liked it when it came out, and I still like it today. 8. Danzig, I Luciferi. The electronic noises of a few years earlier continued to fade away on Danzig’s seventh record, leaving some songs that were more in the vein of his earlier work, and even some that harkened back to his punk roots. Not a complete comeback, but a good record. 10. Soilwork, Natural Born Chaos. This record found the melodic death metallers focusing more on the melodic part than the death part. Though, again, not completely embraced by some fans, it led Soilwork to the later style that I prefer. 11. Dio, Killing the Dragon. I wasn’t as impressed with Killing the Dragon as Dio’s previous release, the concept album Magica, but it has grown on me in the years since. 12. Sentenced, The Cold White Light. This one doesn’t connect with me quite as much as it did at the time of release. Then, I thought it was one of the bleakest, most depressing records I’d ever heard – but in a good way. 13. Manowar, Warriors of the World. More chest-thumping warrior metal from the masters of the art, with one strange cover of Elvis’ “American Trilogy.” There are some great melodies on this record, and yeah, it’s a bit cheesy, but that’s what we love about Manowar. 14. Opeth, Deliverance. The first of a contrasting pair of records from Opeth, Deliverance focused on the band’s heavier material, including more death growls and heavy riffs than the companion piece, 2003’s Damnation, which was a much mellower, heavily acoustic record. 15. Blind Guardian, A Night at the Opera. The progression of Blind Guardian to a more symphonic style kicked into high gear on this one, named in tribute to one of the band’s influences, Queen. To me, it’s weaker than much of their earlier work, but still a solid record.